Our Woodbridge personal injury lawyers have been proudly serving the community for many years and have helped countless injury victims get the compensation they deserve. Our proven track record, decades of experience, and expertise allow BPC Law to stay on the leading edge of the legislation and ahead of the competition. At BPC Law, our Woodbridge personal injury lawyers are regarded as some of the top specialists when it comes to brain injuries, spinal cord injuries, orthopaedic injuries, and injuries resulting in chronic pain and psychological trauma. We specialize in motor vehicle accidents, public transportation accidents, motorcycle accidents, pedestrian accidents, slip and fall accidents, product liability, dog bites, and long-term disability claims. The invaluable trial experience possessed by our lawyers means that we will not be intimidated by an aggressive opposing lawyer or insurance company. We are not afraid of lengthy court battles, and with many wins at virtually every level of court in the province, we have a history of success inside and outside of the courtroom. We work on a contingency basis, which means if we do not win your case, you do not have to pay. Home and hospital visits are a part of our personable service philosophy, which not only helps us protect our clients’ rights but also provides a level of convenience not offered by our competitors. If you or a loved one was injured, you are entitled to compensation. Contact our Woodbridge personal injury lawyers for a free, no obligation consultation, and protect your rights. We are the experts other lawyers rely on for advice; call us today, and get the peace of mind that comes from having one of the top legal teams in your corner. Now whether you have spinal cord or traumatic brain injuries, fractures and other orthopedic injuries, you need to be represented by an experienced lawyer. This will help you get maximum compensation. The compensation will cover the loss of income, current and long term medical bills for recovery and rehabilitation. At BPC Law, we are experienced at legal representation in trials and negotiating out-of-court settlements, as per Ontario Tort Laws. Call us today and our injury lawyer in Woodbridge will be glad to work with you and ensure that you get the justice and compensation you deserve. 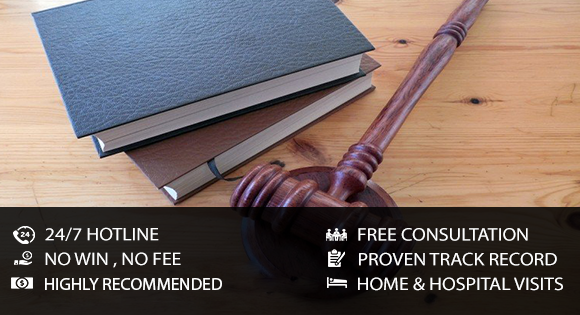 We ensure that you don’t have to worry about legal fees, as we work on contingency basis. This means that you only pay when we win your case. Additionally, if your injuries render you or a loved one immobile, we offer personable services and schedule home and hospital visits. This ensures that we are able to discuss more about your case, intimate you about your rights and plan how to help you get justice. This level of convenience isn’t offered by most of the legal services in Woodbridge. We care about our clients and ensure that your recovery is aided by a quick resolution on your compensation claim.